The helicopter emergency medical service arm of Germany’s national motoring association will study using a manned Volocopter electric multicopter for air rescue and emergency service flights. The project by ADAC Air Rescue (ADAC Luftrettung) will initially use computer simulations before starting research flights with the aim of discovering whether the Volocopter can get emergency personnel to accident victims faster than current rapid response vehicles. ‘Within the framework of the pilot project, they will be specifically adapted for emergency services and used as air shuttles for emergency doctors,’ Volocopter said in a press release. Managing director of ADAC Air Rescue, Frédéric Bruder, said that 50 years ago ADAC had been among the first in Germany to field test rescue helicopters. ‘Consequently, it is only logical for us to be the first to lead German air rescue into the future with new technologies,’ he said. The study is scheduled to begin next year and will run for 18 months at a cost of €500,000 ($A770,000). 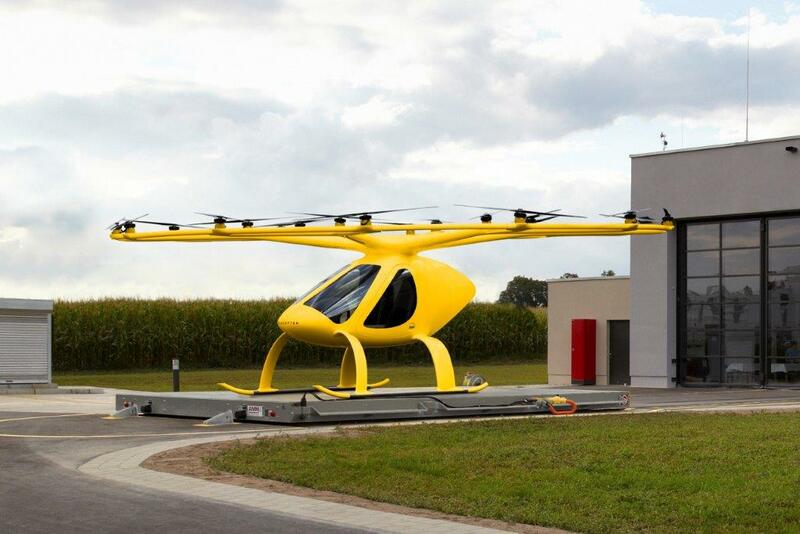 A Volocopter is an electric direct lift vehicle powered by 18 electric motors and fixed pitch propellers. Its maker quotes a useful load of 160 kg, a top speed of 54 kt and a range of 15 nm. Volocopter GmbH has contracted production to German glider maker DG Flugzeugbau. The type has been provisionally licenced in Germany since 2016 and last year, flew the first ever autonomous flight of an urban air taxi in cooperation with the Roads and Traffic Authority of Dubai, which plans to introduce an urban air vehicle service.